Banned in its own country of Malaysia, Banglasia is you off beat action comedy that will either have you in stitches laughing so hard or bewildered as why someone would make such a film. Supposedly banned because of its political satire of Malaysia on 31 different points their film governing body wants changed, the film about love and diversity decided to go the film festival route overseas such as the New York Asian Film Festival this weekend. The film opens with one of our leads a Bangladeshi, Dirty Harris (Nirab Hossain) laying on the floor dying. From there we get a flash back to about two days earlier to see what led up to that point. From a thug boss that breaks into song or commercial at the drop of a word, to his many underlings including a man in a green alien costume to his daughter a nurse that faints at the sight of blood. The movie is all about extremes and absurdities that you would expect to find an Austin Powers movie. 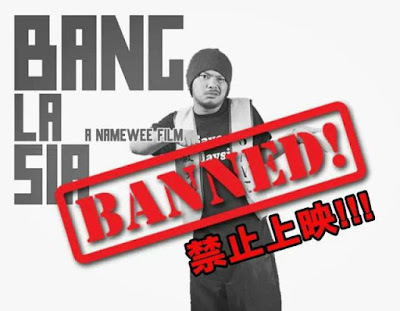 Dirty Harris in those two days are intertwined with Hangouren (Namewee) a Chinese whose name literally means Korean, are at odds with each over Hangouren's strong nationalist feelings about his Malaysian country being overrun with foreigners. 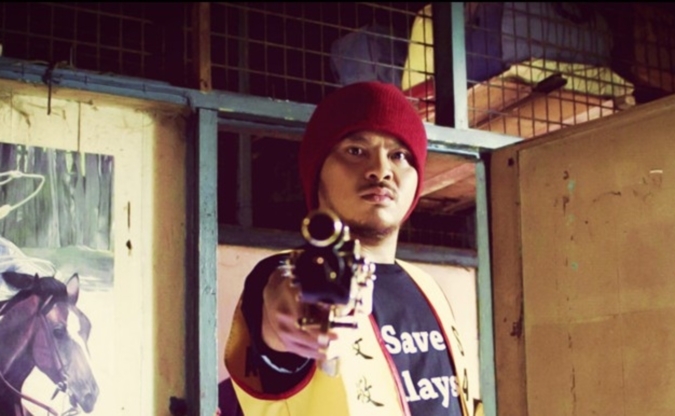 Both Nirab and Namewee are excellent in their roles as well as the many supporting casts that features many different Southeast nationalities that populate Malaysia. The humor at times are very tongue and cheek and can be offensive if you take the movie seriously, which you possibly can't. The only faults I find with the movie is not so much a fault of its own but the lack of knowledge of Malaysia's political situation to fully appreciate some of the implied jokes. For example we see a woman giving a news broadcast on television who is in chains with a person controlling her behind her. Or another example is the constant threat of the "Luk Luk" army out to get the motley band Dirty Harris, Hangouren and friends. I really do not get who that group is supposed to represent and what their relationship to the thug boss implies. The film plays out like a B movie with its setting and costumes and props, but I believe that is more intentional, given the location of the filming and also to add to the humor of the film. Overall, I enjoyed the film despite its cultural barriers in understanding some of the jokes. There are elements in which even Americans can relate as far as immigration concerns and nationalist fervor (think Donald Trump). They have two very impressive musical numbers with the latter running during the credits which you won't want to miss. The movie will play at the New York Asian Film Festival on July 10th at the Beatrice Theater in New York. If you have a chance to catch it be sure to do so at least once. The Director/actor Namewee will be in attendance. I wonder if he will bring his golden gun. Yes they have one in the movie and it fires unlimited bullets.